A couple of guys in my office are always scavenging for food. 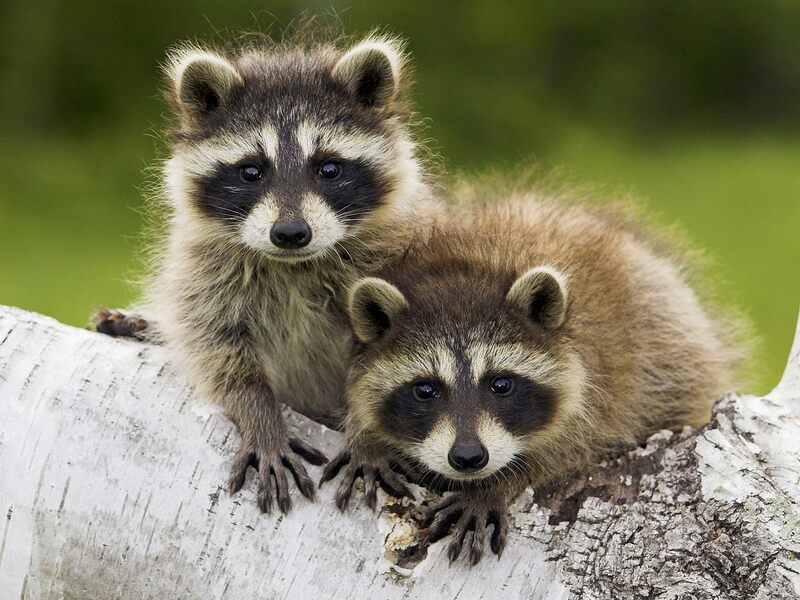 They are like little raccoons. These two constantly ask me if I have anything to eat, if I will bake something soon, if I know anyone who’s got any snacks, etc. 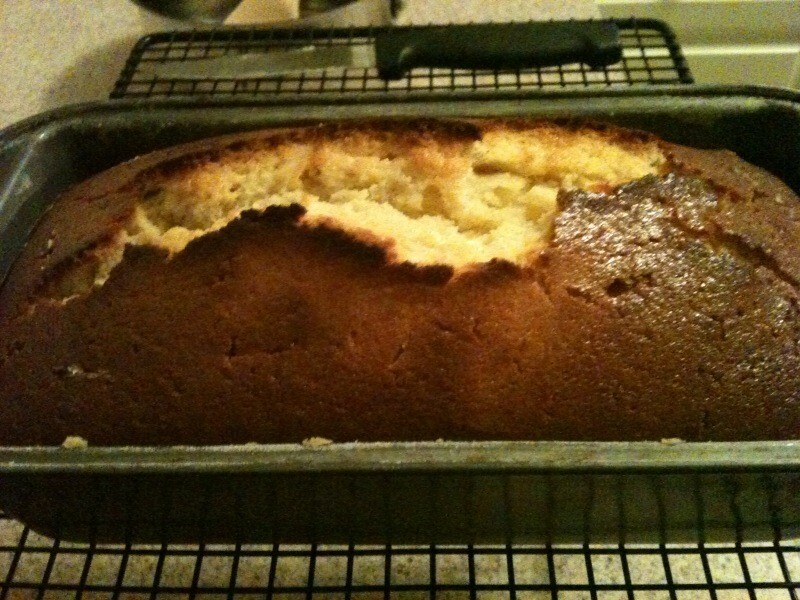 So this week, I baked a lemon cake to share. And it went over quite well! The recipe is by Ina Garten (aka Barefoot Contessa), my most favorite celebrity chef. Sift together the flour, baking powder, and salt into a bowl. In another bowl, whisk together the yogurt, 1 cup sugar, the eggs, lemon zest, and vanilla. Slowly whisk the dry ingredients into the wet ingredients. With a rubber spatula, fold the vegetable oil into the batter, making sure it’s all incorporated. Pour the batter into the prepared pan and bake for about 50 minutes, or until a cake tester placed in the center of the loaf comes out clean. 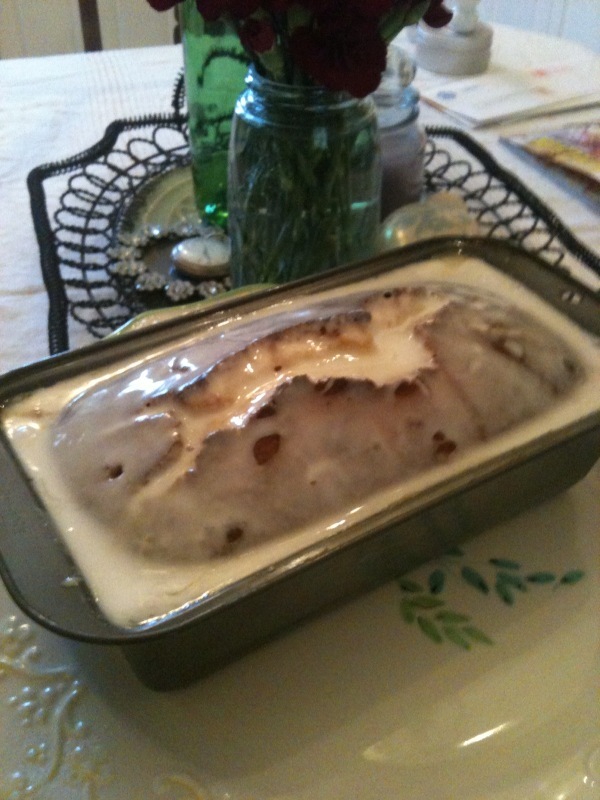 Take the cake out of the loaf pan before I add the glaze so it will be prettier. I didn’t this time since I was taking it to work. That glaze pool around the edges looks kinda icky to me, but clearly people didn’t have a problem with it. Maybe use a standard 9 1/2 inch loaf pan. I thought it was weird that the recipe specified the odd-sized pan. 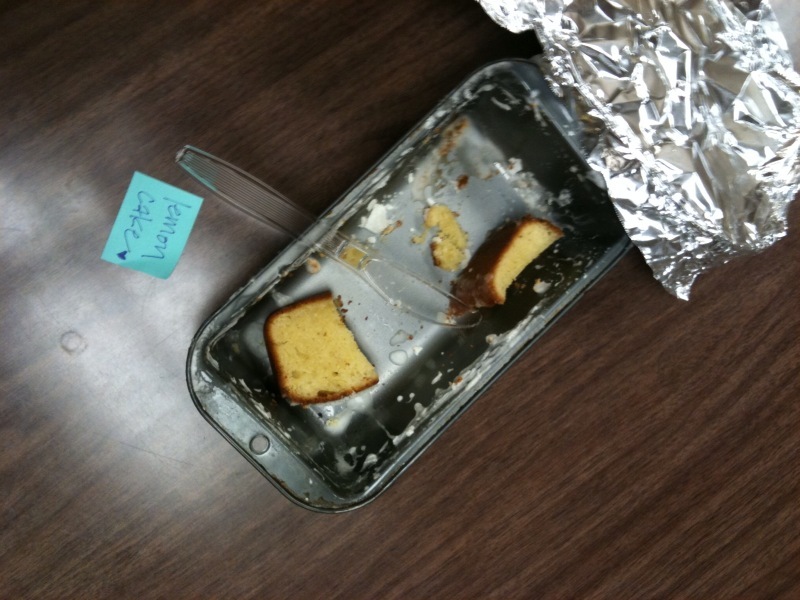 Plus, the cake was really good, but it took the inside at least 10 minutes longer to finish baking than the recipe said. Categories: Recipes | Tags: ina garten, lemon cake, raccoons | Permalink.